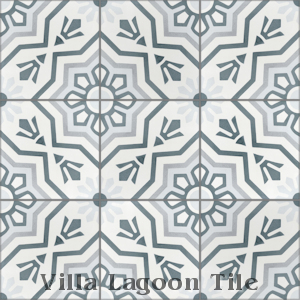 This is a 3-color 8" cement tile, using Cityscape, Misty Gray and Fog from the South Beach Palette. 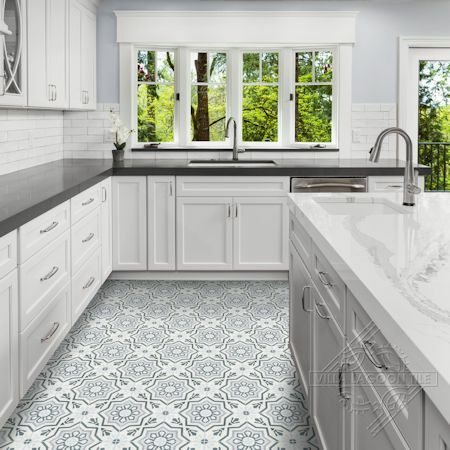 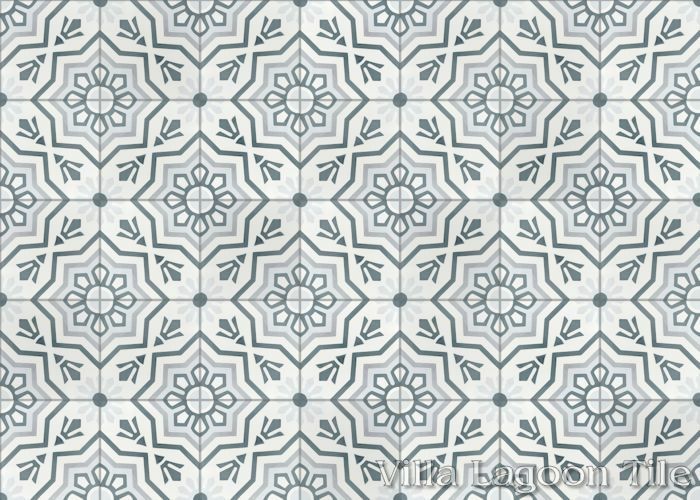 We call this classic cement tile pattern "Aztec Sun A", produced in our own blend of white and cool grays. 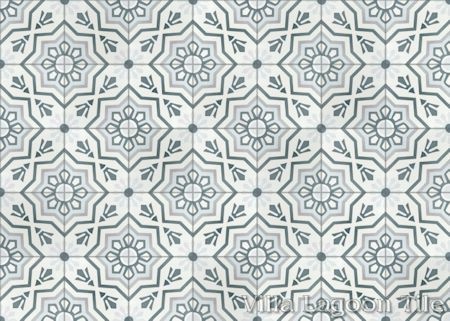 Aztec Sun is a different take on the classic star and cross theme. 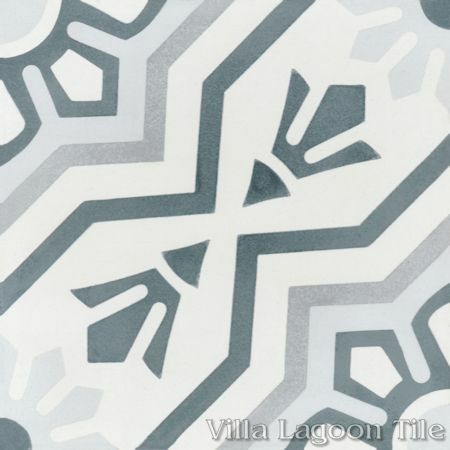 The connections of the crosses broaden to create a lattice, then filled with tridents and a sun with angular rays.